Transformer Clinic™, by MISTRAS®, represents an industry benchmark for determining the fitness and health status of your power transformers. By merging decades of substation reliability and transformer monitoring experience, along with a comprehensive suite of online/offline, onsite and laboratory diagnostic testing and screening services, Transformer Clinic&apos;s expertly designed solutions keep your transformers powering on! Transformer Clinic’s simplified reliability programs ease the burden of maintaining your power transformer’s in-market availability. Transformer Clinic™ specialists conduct DGA and Oil Quality Tests of transformer oil to assess a transformer’s real-time condition and identify if a problem may occur. Determining the source(s) of your power transformer&apos;s underperformance begins with Transformer Clinic&apos;s™ SAMPLE testing programs. Overheating, arcing, partial discharge, and other active or slow-evolving faults, can all be identified during the SAMPLE process by using a combination of onsite and laboratory insulating oil tests, such as Dissolved Gas Analysis (DGA) and Oil Quality Analysis. 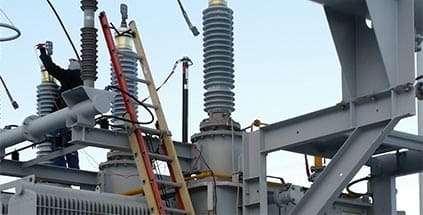 Oil quality tests are traditional testing methods that provide power transformer operators with an economical, yet marginal alternative to more advanced testing techniques. At Transformer Clinic™, our SAMPLE programs are utilized only as reliable first indicators, allowing specialists to further investigate areas of concern using Transformer Clinic’s™ advanced SCREEN spot inspection programs. Transformer Clinic’s™ SCREEN spot inspection services provide an advanced level of instantaneous fault detection and location capabilities. A unique and purposeful range of advanced field-inspection techniques are utilized in a series of real-time spot checks to identify hot-spots and areas of concern. The simultaneous use of these advanced techniques allow Transformer Clinic™ specialists to identify and characterize loose connections, arcing, partial discharge, core clamping problems, unintentional core grounds, circulating currents, blocked radiators, localized overheating, mechanical defects, and/or high temperature faults from within a transformer. When your transformer experiences sporadic symptoms, Transformer Clinic&apos;s™ OBSERVE overnight baseline services provide extended interval solutions to detect and locate faults at the most unassuming moments. Detect and measure partial discharge impulse activity using High Frequency Current Transformer (HFCT) testing. The combination of AE and HFCT allows for optimal detection of electrical faults. When your power transformer&apos;s inefficiencies remain evident, but symptoms seemingly come and go, extended insight may be required to catch lurking issues at play. Providing a similar, yet a more elaborate arrangement of advanced technologies than those deployed during our SCREEN spot inspection services, Transformer Clinic&apos;s™ OBSERVE overnight baseline testing services place your transformers in the care of our certified specialists for extended chronological recording of fault activity, logged during a 24-hour observation period to capture harmful issues as they occur. After the 24-hour observation period concludes, Transformer Clinic™ specialists review all compiled inspection data to quickly issue operators an easy-to-understand summary of their findings, in addition to their power transformer&apos;s condition ranking. Transformer Clinic&apos;s™ powerful condition ranking summary is amongst the most comprehensive reports available in the industry, synergizing results from a multitude of advanced and conventional inspection methods, in addition to technologies that help maintenance operators confidently make better and more informed decisions in their efforts to improve the in-market availability of their power transformers. In the event your power transformer&apos;s symptoms require further analysis, or if you&apos;re simply being proactive, Transformer Clinic&apos;s™ MONITOR solutions provide your transformers with continuous, real-time, and around-the-clock health and condition monitoring to offer you ultimate peace-of-mind. The Condition Ranking Summary provides a clear overview of the transformer's condition, and outlines a recommended course of action if a problem is found. 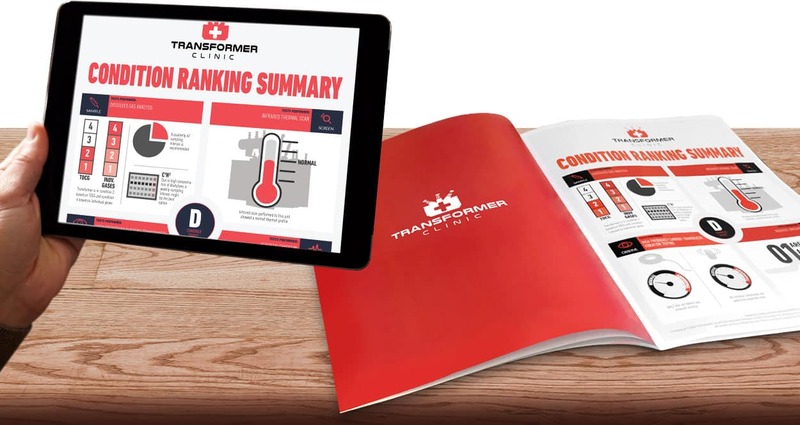 Transformer Clinic™ bridges the gap between data and answers thanks to an illustrative Condition Ranking Summary, part of our in-depth and highly-detailed report. Because power transformers are prone to the effects of unseen and untimely damage, early detection of abnormal and unforeseen situations is paramount. Transformer Clinic&apos;s™ 24/7 continuous health status MONITOR piggy-backs off our parent company&apos;s field-proven and world-class acoustic emission (AE) technology, granting operators peace of mind. By deploying a complete range of around-the-clock online and real-time acoustic and vibration activity, Transformer Clinic&apos;s™ 24/7 continuous health status MONITOR is capable of tracking one, a few, or an entire fleet of power transformers through a robust and easy-to-use web-based monitoring application, generating real-time health and condition based summaries designed to help improve your transformer&apos;s in-market availability. 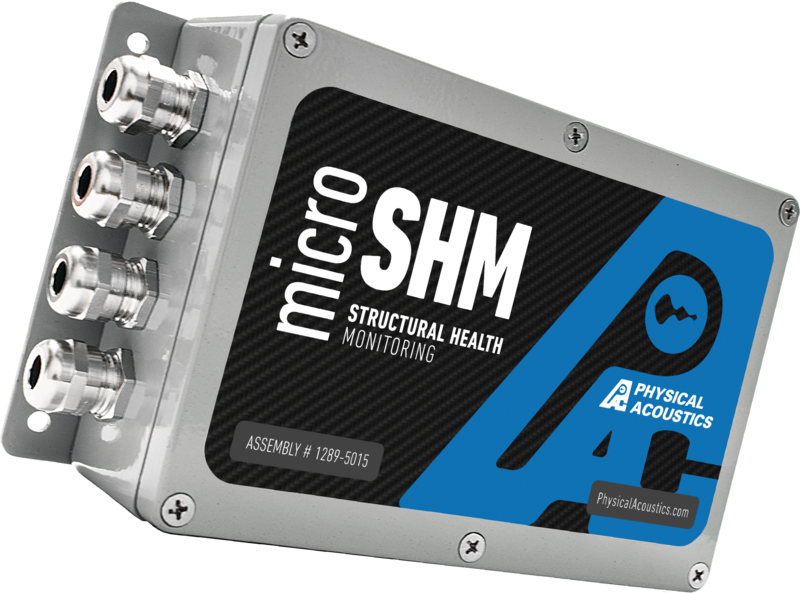 The Micro-SHM MONITOR System: Designed to monitor moderate to severe problem areas. Ultra-affordable, this system is perfect for simultaneous fleet monitoring. 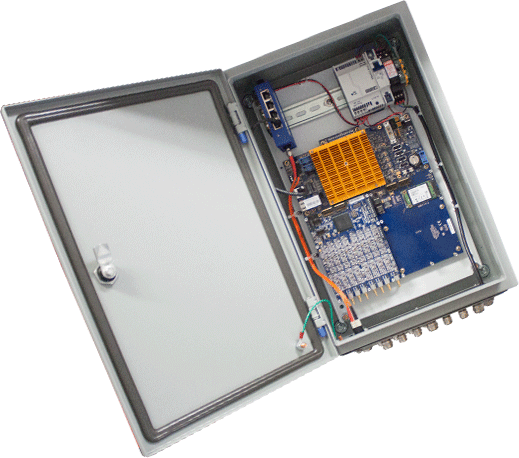 The Sensor-Highway MONITOR System: Capable of detecting minor and ultra-sensitive to severe activity, suitable for transformers requiring an intensive range of data and analytics. Regardless of the system deployed, Transformer Clinic™ 24/7 continuous health status MONITOR allows operators to conveniently configure alerts via automated text, SMS, and email to designated engineers and personnel, ensuring a prompt response to alarm locations and eliminating false alarm visits. Transformer Clinic™ also offers attractive options for acquiring its MONITOR systems. With available equipment purchases, financing, lease-to-own, and even Hardware-as-a-Service (HaaS) options, there&apos;s no reason to take on the enormous financial and safety risks using an outdated “run-till-fail” mentality. Monitor and track activity for one, a few, or many transformers within your fleet. From simple dashboard overviews to highly detailed drill down screens, Transformer Clinic provides operators with the information they need, when they need it. Acoustic Emission (AE) is a powerful tool used to "listen" and register acoustic signals of different frequencies generated within a power transformer. Utilizing around-the-clock proprietary AE technology, AE monitoring provides continuous condition readings, processed and analyzed though proprietary software. Provides valuable and reliable diagnostic information about the condition of the insulating system allowing the identification of internal faults by analyzing the insulating oil. Combustible gas concentrations (PPM), as well as gas generating trends are calculated. Physical and dielectric properties of the oil are tested. Electrical Partial Discharge detection uses High Frequency Current Transformers (HFCT). These sensors measure high frequency currents produced by partial discharge and/or arcing though a transformer ground cable. The simultaneous use of AE and HFCT technologies allow the detection of electrical faults verses other sources. Through thermographic imaging technology, Infrared imaging generates quick and accurate readings, locating and detecting abnormal heating signatures, or ’hot spots’. Measurement of audible sound from transformers originating from core and windings and transmitting through the dielectric fluid and/or structural supports to outer shell and/other solid surface, where it radiates as airborne sound. The frequency spectra of the audible sound consist primarily of the even harmonics of the power frequency. Ultrasonic wave’s measurements are performed to determine if activity associated with a defect has been detected. A quick measurement that allows operators to determine the condition of the asset. Performed on in-service power transformers, Vibration tests serve as an additional method of continuous health status monitoring for the detection of mechanical failures, such as core/winding loosening. The Dielectric Frequency Response testing technique diagnoses issues within insulating materials by measuring and calculating rates of impedance, capacitance, loss, and power factors. The results are used for insulation diagnosis of high and medium voltage equipment. Several factors affect and cause a transformer’s electrical insulation; aging, temperature, harsh environments, and contamination. The Insulation resistance test can detect when and if the insulating material has deterioration occurring. The purpose of TTR is to help operators diagnose problems within their transformer’s winding turns and other components. This test detects short-circuits within windings, in addition to the detection of load tap changer alignment issues. SRFA measurements provide a sensitive diagnostic technique for detecting changes in the electrical characteristics, physical geometry and construction in a power transformer’s windings by detecting defects and distortion. This test is used to verify proper internal connections and determine whether open circuit condition or a high resistance connection are present in parallel conductor windings, producing "hot spots" within the windings, leading to gas generation. To receive a reply from one of our experts, please enter your preferred contact information below. Yes No Abnormal Audible Sound? Yes No Abnormal Operating Condition? Yes No High Top Oil Temperature? Yes No Headspace Negative Pressure? Yes No Cooling System Problems? Transformer Clinic™ is a specialty energy service and equipment provider of power transformer fitness and health status solutions.